Stanley Kickers kick off soon! My Dad played for Accrington Stanley! Dig out that Stanley Shirt and give Walking Football ago! Join us this half term! If you’re looking for something fun this February half term to keep your children busy, we have the answer! We don’t just offer football holiday schools, we run an activity club for those that enjoy crafts and multi sports. Both our Soccer School and Activity Club are held at Accrington Academy from Monday 18th February to Friday 22nd February 2019, with pick up options of either 3pm or 5pm and a drop off time from 8.30am what better way to keep your little ones entertained! Meanwhile our Soccer School will be kept busy with a full programme of activities and skills sessions planned. Each day ends with small sided games so the players can practice what have learned during the day. 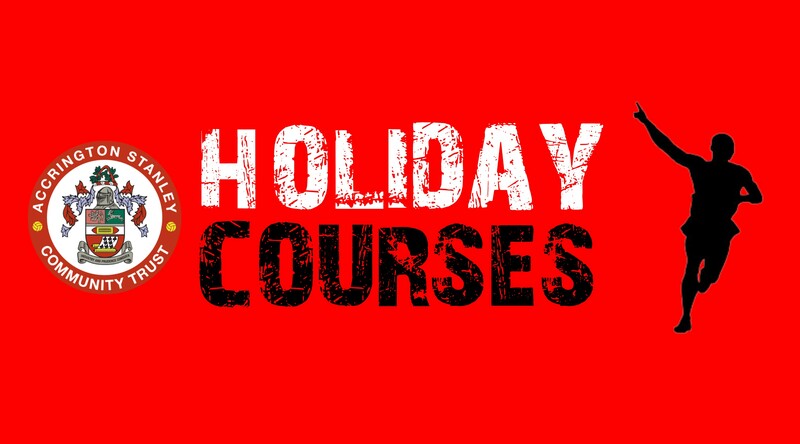 The holiday courses remain an affordable activity; that provide the perfect solution for all young children and their parents. Please note that Accrington Academy is private property and is not used by the general public, therefore ensuring your child is in a safe and secure environment at all times. On Friday every child will receive a certificate and free Accrington Stanley Gift! Prices start as little as £12 a day or £50 for the week! With no extra cost for the early drop off from 08.30am. NEXT Next post: FDC returns on Monday 25th Feb!